CyberRisk coverage is available for private, nonprofit and public companies of all sizes and provides a combination of coverage options to help protect your clients. Provides affordable coverage for those people who operate small home-based businesses as most HO policies usually explicitly exclude coverage. It's a brave new world. New smart homes may be hacked, perhaps through a dishwasher or refrigerator. 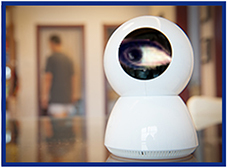 Some robotic vacuum cleaners create a digital map of your house which can be hacked. (One robo-vac brand is even considering selling that information to third parties.) Your computer or phone may be hacked by criminals threatening to release personal data unless a ransom is paid. The Internet of Things (IoT) is growing more and more connected and with every connection a new vulnerability is created, which threatens everything connected to it. Even a lightbulb can be hacked, giving access to everything connected to it. Don't fear the future, but get ready for it. Start by learning more about Chubb Masterpiece Cyber Protection, which can offer your clients exceptional peace of mind. Cyber extortion and ransomware: Protection against threats to release, destroy, or restrict access to personal data, or cause failure to electronic processing property. Cyber financial loss: Protection against loss of funds stolen from an account due to a cyberattack. Cyberbullying: Assistance dealing with online harassment that results in wrongful termination, wrongful discipline from school, or debilitating emotional impact. Cyber disruption: Support in dealing with a cyberattack that prohibits the client from accessing their home, or interrupts their incidental business operations in their home. Cyber breach of privacy: Aid in dealing with theft, loss or unauthorized access to personal data from a cyberattack, which results in defamation of character, poses a risk to the safety of the client, or results in wrongful termination, wrongful discipline from school, or debilitating emotional impact. Complimentary identity resolution from CyberScout. Learn more. Discounted online vulnerability assessments from Ackerman Group. Learn more. Discount on Norton Core, a secure Wi-Fi router that brings Symantec protection to the whole home. Learn more. Maximum aggregate limits for Cyber Protection are available up to $250,000 ($500,000 upon request for Premier clients). Sub-limits apply. Please see the policy for details. Available for New Business right now in these states. Look for additional states in the coming months. If your clients have purchased their home and liability insurance with Chubb, they already have access to a wide array of cyber-related coverages, such as digital contents coverage, unauthorized charge reimbursement, lawsuit protection for unintentional online libel, and access to services that can help them resolve identity theft. But by adding Cyber Protection coverage, you can help your client take their protection to the next level. How does Masterpiece Cyber Protection compare? Cyber coverage is a relatively new phenomenon in the Personal Lines market, so offering cyber is a great way to set you and Chubb apart. While a few other companies may cover cyber exposures, Chubb provides extras, such as psychiatric care, help in resolving cyber-related issues (not just reimbursement), and covers professional services such as PR consultants, digital forensic analysts to aid in prosecution, cyber security consultants to help improve the client's security, and more. Please note: Dwelling policyholders insured through the Platinum Portfolio product will not have access to Cyber Protection at this time. However, you can obtain the coverage by moving the account to the Masterpiece platform, if you wish. Please be aware that the client will lose tenure credits, so you should weigh the pros and cons of this approach for each client. Ready to talk to your clients? Chubb created a new Cyber Protection brochure you can use to show your clients the benefits of our coverage. The Chubb Masterpiece Program is available to registered members in all states except auto in HI, KY, MA, NC, SC and VA as those are being placed in the legacy-ACE system. Additionally, NJ auto and NC home business are being written in the Chubb Non-Masterpiece environment. Learn more by logging into www.bigimarkets.com and clicking on "Affluent Program - New Business." A sales and risk exposure evaluation tool you can afford. The Big I Advantage Virtual Risk Consultant (VRC), powered by Rough Notes, is a trusted insurance knowledge base platform available exclusively to Big "I" members. Quickly get the information you need to understand your customers' operations and exposures while identifying appropriate coverages. As a Big "I" member you enjoy exclusive member pricing which represents an extraordinary value. Annual plans start at just $250/year per agency for up to 15 users. Similar products in the marketplace sell for thousands per year. Want to take the VRC for a test drive? Click here for a limited demo. Learn more at www.independentagent.com/VRC or click here to get registered. National General's offers excellent RV coverage for motor homes with an original cost new value up to $1 million. Also eligible are travel trailers, fifth-wheel trailers, pop-up trailers, truck-mounted campers, Airstream trailers and toy haulers. Maximum coverage limit varies by state. 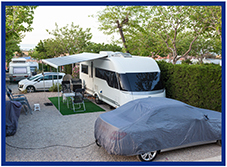 Recreational Vehicle - Personal coverage is available on Big "I" Markets for most recreational vehicles, including motorhomes, fifth wheels, mounted truck campers and more. Coverage available as new business in Alabama; Arizona; California; Florida; Illinois; Iowa; Kansas; Louisiana; Maryland; Montana; Nebraska; New York; North Carolina; North Dakota; Ohio; Oklahoma; South Carolina; South Dakota; Tennessee; Texas; Virginia; Washington; Wisconsin; Wyoming. Stationary Unit coverage available as new business in Alabama; Arizona; Arkansas; Colorado; Florida; Georgia; Illinois; Iowa; Kansas; Kentucky; Louisiana; Maine; Michigan; Mississippi; Missouri; Montana; New Hampshire; Nebraska; New Mexico; New York; North Carolina; Ohio; Oklahoma; Pennsylvania; Rhode Island; South Carolina; South Dakota; Tennessee; Texas; Utah; Virginia; Wyoming. 1 If your RV is totaled or stolen (and not recovered) in its first five model years it will be replaced with a comparable new RV, even if you're not the original owner. After the first five model years, you will receive your full original purchase price - not a depreciated amount - toward the purchase of the replacement RV. Replacement Cost Coverage must be purchased during the RV's model year or within the following four years. What are the current claims trends in D&O liability? Where is D&O liability headed? What are the future claims trends? What are the important D&O insurance coverage issues and policy wording issues? VU webinars offer comprehensive looks at industry issues. If you are looking for quick strikes of knowledge check out the VU's 20-minute Lightning Learning series that will focus on HO Trust Endorsements for the month of June. Please send any questions to VU staff. The NFIP agent training area has added four on-demand webinars of interest to flood agents. In just 90 minutes our panelists will steer attendees through the many hazards associated with buying, selling and merging an agency. Attendees will be provided with the essentials, as well as some tax and E±O implications of a merger or acquisition. Finally, we will have some claim examples of how bad claims happened to good agents following such a change. The panel discussion will feature Bob Skow, CPCU, CAE, former CEO of the Independent Insurance Agents of Iowa; Dirk S. Nohre, CPA, CPCU, ABV, President, Nohre & Co. Certified Public Accounts and Consultants: Matt Davis, Swiss Re Corporate Solutions Claims Manager; and Jim Redeker, Swiss Re Corporate Solutions Claims Manager. Annette Ardler, CPIW, DAE, AIAM of Swiss Re Corporate Solutions will moderate the discussion. If you have any questions relating to the topic that you would like addressed during the discussion, please email Big "I" Professional Liability's risk management director Jim Hanley. This webinar series is provided by the Big "I" Professional Liability risk management team. 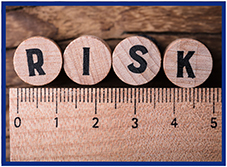 A collection of risk management resources, including articles, checklists and webinar recordings, are available on the E&O Happens website. Log in with your Big "I" username and password to check it out. One entity eligible for a HO policy is a Trust. However, ISO provides three trust endorsements - which one (or two) do you use? The answer depends on the situation. In this session we discuss the available endorsements and detail when each is to be used. Liability policies respond when an insured is legally required to pay for certain damages or injuries. Legal liability is liability imposed by the courts on the person or entity responsible for the injury or damage suffered by another party or individual. Such legal obligations (or liability) can arise from intentional acts, unintentional acts or contracts (express or implied) and generally deals with civil wrongs rather than criminal wrongs. Learn legal liability and what is required. Consider presenting conference style for the entire agency to benefit. Please send any questions to VU staff. Here are the top three items that got BIM agents clicking from our last edition... see what you missed! Congratulations to our agent in Congratulations to our agent in Iowa on a Travel Insurance sale of $1,816 in premium! You have received Two for Tuesday because you are a registered member of Big "I" Markets. Two for Tuesday is a weekly newsletter designed to provide you with information concerning commercial products and services available to you through Big "I" Markets. (Product availability varies by state.) IIABA, your professional association, along with its subsidiaries, including Big "I" Advantage, Inc., works hard to bring information to you about valuable products and services that could enhance your ability to succeed in the industry's competitive environment. If you do not wish to receive Two for Tuesday click the link below.